Residential HVAC in OKC – Air Conditioning Service, Inc. Call (405) 677-5665 or Click Here to Get an Estimate! Scorching Summers and Blistering Winters – that’s Oklahoma. Residential air conditioning and heating systems from the Kool Guys at Air Conditioning Service, Inc. will keep your home comfortable year around. 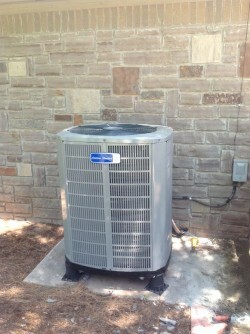 Whether you are installing a brand new residential HVAC system in your Oklahoma City area home, need to replace an outdated system, or need a simple air conditioning repair, we have a solution for you. We understand that our residential heating and air customers in Oklahoma City are not only looking for high quality HVAC systems, but are also searching for responsive service and exceptional customer care. After 25 years of service, installing, and repairing residential air conditioners in the Oklahoma City metro area, our customers have come to expect nothing less. We provide the best balance of value and quality for residential heating and cooling systems installation, AC repair, and maintenance. 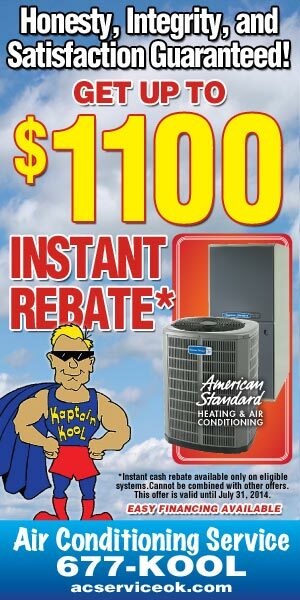 The Kool Guys at Air Conditioning Service, Inc. install and repair all major HVAC brands and models. With a wide variety of residential heating and air conditioning products to choose from, let our experts at Air Conditioning Service, Inc. customize a solution that’s right for you. Whether you’re looking for quality air conditioning, furnace, heat pumps, or air quality products, we have the HVAC products and services that you need for our often extreme, always unique Oklahoma climate. 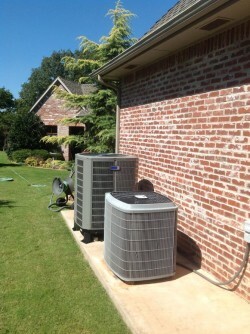 Contact our OKC office today to learn about residential air conditioning solutions for your Oklahoma City home. © 2019 Copyright Air Conditioning Service, Inc.